We’re in low budget mode, but things are going quite fast. And the main project’s bottleneck is presentely… myself! I have asked many volunteers to hold on because I don’t have enough time to manage too many projects at the same time (read “If I had an eelo co-founder…. ♫“). Anyway, we plan to release the first eelo operating system and some web-services as a beta “MVP” (Minimal Viable Product) by the end of August. Time has come to unveil eelo’s development status! Since early February, just after the end of the eelo crowdfunding campaign on Kickstarter, I spent a lot of time to communicate with people: eelo is receiving many incoming requests from people who are offering some time as volunteers. I need to figure out their real motivation, the amount of time they can spend. For some of them, we discuss a compensation. This is a long term process, and I’m very happy with the team that we have started to build: people from many places in the world, who are very smart and very talented. Today, this makes aproximately 15 people full time equivalent on various projets, from infrastructure to design. I’m also discussing with some others about side projects, more long term, that won’t be integrated into eelo first releases. Like an AI-based assistant, and the eelo token feature. A smartphone operating system is a lot (really a lot) of source-code. When you want to build it for testing on a real device, it can take up to 1.5 hour to compile on a fast machine (Core i7 / 32GB RAM / SSD drives…). And this is the case for each supported device . At the moment, we are targetting 6 different test devices, and we plan to support dozens ones. We have decided to go with GitLab (self-hosted) + docker containers. This brings us a lot of flexibility to manage source code, and to deploy new compilation servers easily. We started to rent a first dedicated server, and I bought two refurbished IBM x3650 M3 that we have set up for compilation. We can now add as many servers as we need already. And we have a full compilation chain for the continuous integration of eelo, with automated daily builds and soon custom builds on demand. An eelo operating system, in progress! We started to work on the user interface of eelo from the begining. Therefore, we now have a great launcher, which makes icon grouping and application deletion intuitive. The launcher also provides notification badges on icons. For now, these badges are green, because I think notifications should not be stressful. Read below for a more comprehensive demonstration of the current eelo user interface. eelo is about user’s data privacy and freedom, but my only certitude is that without a good user interface, it cannot be successful. The choice for default application has lead to many internal and public discussions! I agreed to lower the number of preinstalled application at a “reasonable minimum”. This will leave users to install their prefered apps. One discussion we had was about the default messaging app. I received many suggestions for messaging apps. It’s been a difficult choice. have no default messaging app: this means that people who don’t know will instantly install WhatsApp messenger or Facebook messenger, which is not really something we want to encourage! install some great messaging apps such as Wire or DeltaChat (which is definately worth a try)… At the moment, they lack the a large number of users, which means you are likely to find nobody using it in your contacts. put Telegram: I personally like Telegram and I think that it’s one of the most secure messaging application around (the attitude of certain countries with Telegram seems to prove that). And it has many users. But this makes Signal supporters unhappy. put Signal: it’s not as good as Telegram in term of user experience, and has less users. But it’s probably extremely secure and is fully open source. And it can handle SMS / text messages. Finally, I took a simple decision: have Telegram preinstalled as a messaging app, and Signal preinstalled as default SMS app (which includes instant messaging capabilities). The choice for other default applications is important too, and I was worried about the default email application in AOSP, because it’s totally integrated with Google services. Therefore, we decided to use K9-mail and work on its user interface. It still needs some improvement, but it’s already better than ever. K9-mail also has support for email encryption with PGP. Regarding the default web-browser, we chose the default web browser from LineageOS: it’s fast and slick, but we had to modify its settings to have it provide a different list of default search engines. By default, it’s now using our new eelo meta-search engine, but users can choose to configure Qwant or DuckDuckGo. The launcher left view can host some widgets. The first one we have been able to implement is the “most used apps”, and a search field that is using eelo’s meta search engine online (watch the video below). And we are working on a weather widget. One of the big challenge of eelo is to offer a unique place where users can download and install applications, easily and without having to use a user account. We’re starting with free Android applications, and F-droid (open source) applications. We have built a big database of theses applications, that is now updating continuously 24/7. 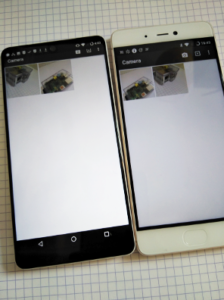 Now, we still have to build an Android application that can connect to our database and manage installed application on the user’s eelo operating system + a public repository. 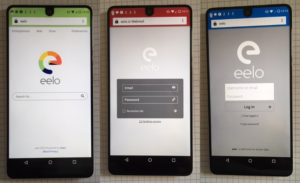 One of the most important aspect of eelo OS, is to be totally free from Google software that is leaking our personal data. 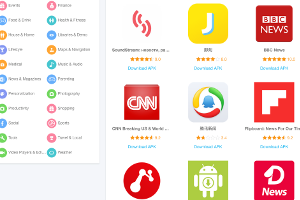 Therefore, we have removed Google Play Services, which are used by many applications and provide some services such as geolocation using wifi networks or GSM networks. We have replaced Google Play Services with the open source microG component. microG offers a nice alternative to Google Play services (it’s not addressing all features yet though). An important feature is also to offer instant synchronization and backup capabilities. 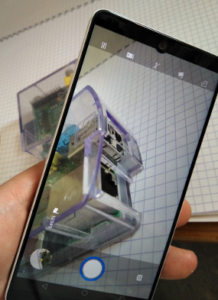 Therefore, we’re implementing an “eelo synchronizer” service, that users can chose to use to have their pictures, videos, device settings, backuped to the cloud. For now, they can use a public OwnCloud/NextCloud instance, or a self-hosted one. eelo will also provide an online drive. We also already have an “Over The Air” (OTA) mechanism in place for upgrading the whole system. Take the most secure and data privacy-compliant smartphone: you can still ruin your privacy if you are using email or search or drive from online services that are using your data for their business. Therefore, we had to work on alternatives for those services. We already have an eelo email service implementation, that eelo backers can soon access, as well as a drive service implementation. It still lacks some consistency on the user interface, but it’s in progress. The challenge is going to make it scalable, we’re discussing with some hosting partners for that. One of the web service I’d like to offer with eelo is a good maps application. OpenStreetMap is working great, but for now, I don’t find a good enough mobile (and open source) application that can display maps from OpenStreetMaps. Icon grouping, ungrouping, application deletion, launch some apps, do a search… watch the video! Deletion is supported, edition as well. Multimedia contents, including images, videos, sounds, are synced, and we’re working on backuping the device settings. What remains to do before eelo’s first public beta “MVP”? test! debug! test! debug! test! debug!…. Our target has not changed: we plan to release the first eelo “MVP” as a beta software by the end of August. Then, we will open the eelo source code repository. This should probably bring more contributors aboard. 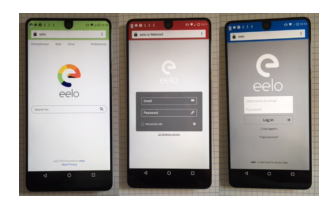 eelo Version 1.0 can be expected by the end of 2018 or early 2019. I said that I wanted core eelo assets to be hosted into a non-profit organization. This is now a reality: “e Foundation” is now a legal entity (and is starting collecting donation and contributions from backers through eelo’s website. More than ever, eelo needs everyone’s support: talk about the project to friends, to the medias, contribute! Let’s free us from the net giant duopole, our data is OUR data! – Keep in touch with eelo: register at eelo.io landing page. I miss the section about supported Devices for MVP. Please add it! How do you select the first beta testers, is there a list where we can sign up? Eelo use a meta search engine so which search engines are used in the background ? For the internet browser, why not Firefox? So for the maps which default app will you install? About the application repository, how do you manage? Is it a combo of F-droid + Google ? What about if an App is very dependent of Google service and can’t run properly with MicroG ? I mean who has to debug : MicroG team, Eelo team, the app developer? Good evening, I think the project is great. I wonder if the OS would be possible to be installed on any smartphone root. The next step, we need apps in Owncloud and Nextcloud for following (over OpenStreetMap), monitor and controlling per password in independence way in his own (next/own)Cloud as applet and not covered by Google or Samsung or an other strange/ unfamiliar for find again and knowing where the own Handy, this it is also possible for call the police and take back the Handy. Or to knows where the kiddys be..
Or where the car, for monitoring a car over OpenStreetMap . because there it is gives Car-gps where it is directly connected with the battery from the car and therewith it is possible to monitoring the cars..
Only install able and not as default application. have a look to both apps for the clouds and for the handy both in common developing works .. and the other possibility also include to give the user the control and monitoring over his own things back. As per the details available on the eelo website development is ongoing for LeEco Le2 and Xiaomi Mi5S. How about skipping device tree headaches and just targeting treble generic system image? Sure it limits the number of devices but would definitely cut down on maintenance headaches. Of course that means blobs but those are unlikely to be removed from phones anytime soon anyhow..
Adressing default messaging, I suggest you take a peak at the matrix messaging server. It’s fully open sourced, by default supports federation and is intended to bridge a lot of networks. For those who want a free maps app I suggest MAPS.ME in some respects it’s better than Google’s own maps and you can download the maps for any area/country/continent or the whole world, if you’ve got the storage on your device or have a sdcard compatible phone. For those of you who want a paid app for the added features, ie a truckers/campervan/caravan/courier specific app where you can add your vehicle’s size and weight (also in the truckers version, an hazards you’re carrying) I highly recommend CoPilot, it’s the best app I’ve used (and I’ve tried just about all of them!) If you’re a courier you can put all your drops (deliveries) in and it will then organise them in the right order for you, saving loads of time. Well worth the money! Plus you download the maps so you don’t need a data connection, and BEST OF ALL, it has all the speed cameras in so warns you in plenty of time so you’re more alert to the vehicles in front slamming their breaks on because they don’t know the speed limit or haven’t noticed the speed they’re doing, so they slam the breaks on when they only notice he camera at the last minute. That’s how most of the accidents happen around speed cameras. I’m not affiliated in anyway with either app, I just believe in giving credit where it’s due, just like I will with eelo! You’ve picked the best two apps for msgs/texts/calls(via the net) in telegram and signal, but I also have “Simlar” as a backup. It’s also encrypted. You also need “Should I Answer” which is free and add free and does a great job of blocking spam/nuisance calls/texts, but you have to download QKSMS and have it as your default txt/mms messaging app for it to block spam texts. It’s free and no apps but it’s not encrypted. As for a browser, I use 4… At night I use Samsung’s browser (I have Sony and Nexus devices so it works on any device, not just Samsung) as it has a night feature which REALLY helps in a dark room or reading in bed. It also has brilliant adblockers that do a great job! I also use Firefox Focus (but that needs a lot of work yet) duckduckgo which is a really good browser, orfox, but I find a lot of sites block that browser (my bank does so I have to use Chrome browser for my bank’s website) and of course I’ve got orbot running all the time. I also highly recommend Blokada and have that running all the time. It’s an app I only became aware of thanks to joining the eelo telegram room but it’s the first app I would put on any device after doing a new installation as the amount of data/information it stops in remarkable! It’s disgusting the amount of information that’s been taken from your device, even when you’re not on the net, or not even using your device! This app REALLY helps to stop all that information being sent, just make sure you have it set to run all the time, and to run on bootup. 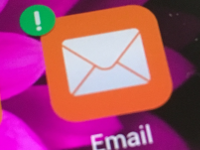 Email wise, I’ve gone back to K9 now that eelo is going to be using it, but for people who haven’t got a clue about tech’ it’s too complicated for them so you need to make it more easier to setup for non techies. What’s the point in sending encrypted emails if the recipient hasn’t got a clue how to read or encrypt their own emails. We’ve got to get people off fb & WhatsApp and stop rewarding those scumbags who abuse our data (never had fb and deleted WhatsApp as soon as fb bought it!) But non techies are lazy and don’t want to put the effort in, trust me I know because I’ve a family full of them! So unless we make email as easy to use as WhatsApp, that’s always going to be open to abuse by email providers. You also need to make the standard phone app so it encrypted all calls like silent phone does. 1. A voicemail app on the phone. Sony has had one on there’s for at least the last 4 years (as long as I’ve used them) and it’s perfect for those who get charged for using voicemail or who don’t want there telecom provider to record their msgs. Obviously it’s no good if your battery goes or you’re not in range of a tower so have no reception, so just turn it off at the telecom or better still leave a msg informing the caller not to leave you a msg as you’re unable to get them and to call you back later and leave a msg on your phone when you’re back in range. 2. The most important app is an app that records your phone calls. I’ve won court cases thanks to having proof of the harassing phone calls from a corrupt landlord and also one against a corrupt company who lied to the court. In the UK you don’t have to inform the caller that the call is being recorded so it’s amazing what lies companies tell when you phone them up, whereas in letters or emails they’re a little more cautious with their lies as you’ve got written evidence. Well that’s my £1s worth, for what it’s worth, I really wish you all the success and can’t wait to get rid of Google and all the others stealing my information! Kudos to eelo!——-Finally someone has enough balls to stand up to the corporate thuggary Google has used for years to squash everything and everyone not agreeing with their business model. Congradulations and don’t stop this endeavor, Please don’t stop! S**** Google and it’s fascist corporate model of monopolizing manipulation of the masses!——–It’s finally time for the tyrannical reign of these corporate empires to end! Kudos to eelo!——-Hooray!——Good day!——-Make Google cry and I’ll say yeah!!!!!!!!! Keep up the good work, it’s time for USA corporates to stop trying to rule the world. I am following the eelo project, eagerly anticipating the day when one can use an OS independent of the US-based data-grabbers. However, it is irritating to see “leaving Google” at the top of this page when links to Twitt and FB continue to be offered. Note: Do we think it’s only Google! 1. Facebook is doing so called data mining big time. 2. Chinese? and their phones, big time data grabbers from phones. OPPO, vivo, redmi, and now their kids series… All day time data theft. Biggest threat I would say is Chinese phones! Watch out!